Project ECHO (Extension for Community Healthcare Outcomes) is a telementoring program developed by Dr. Sanjeev Arora, Professor of Medicine (Gastroenterology/Hepatology) at the University of New Mexico Health Sciences Center. ECHO began as a response to a Hepatitis C outbreak in New Mexico. Community providers were not comfortable treating HCV and patients in rural areas were not able to travel to University clinics. Identified primary care providers from 16 rural clinics and 5 prisons in New Mexico. 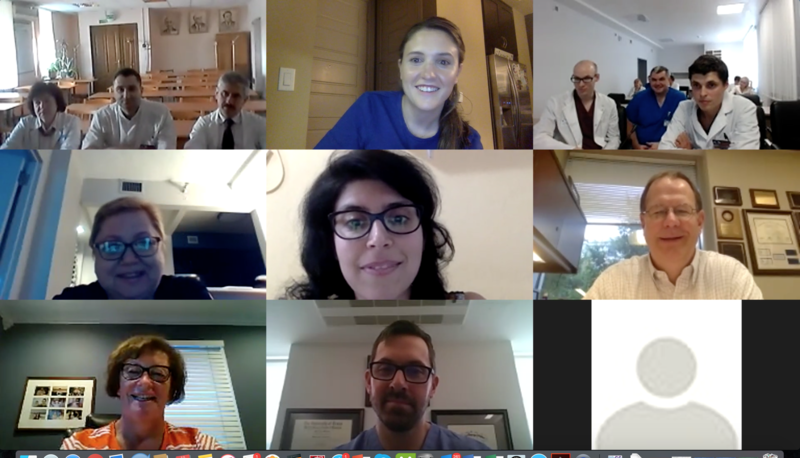 With support from MD Anderson Cancer Center in Texas, USA, IGCS began utilizing the Project ECHO model to conduct virtual tumor boards with trainees as part of the Global Curriculum & Mentorship Program. 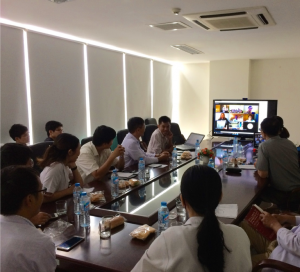 The first ECHO Clinic was held in July 2017 with the Da Nang Oncology Hospital in Vietnam. 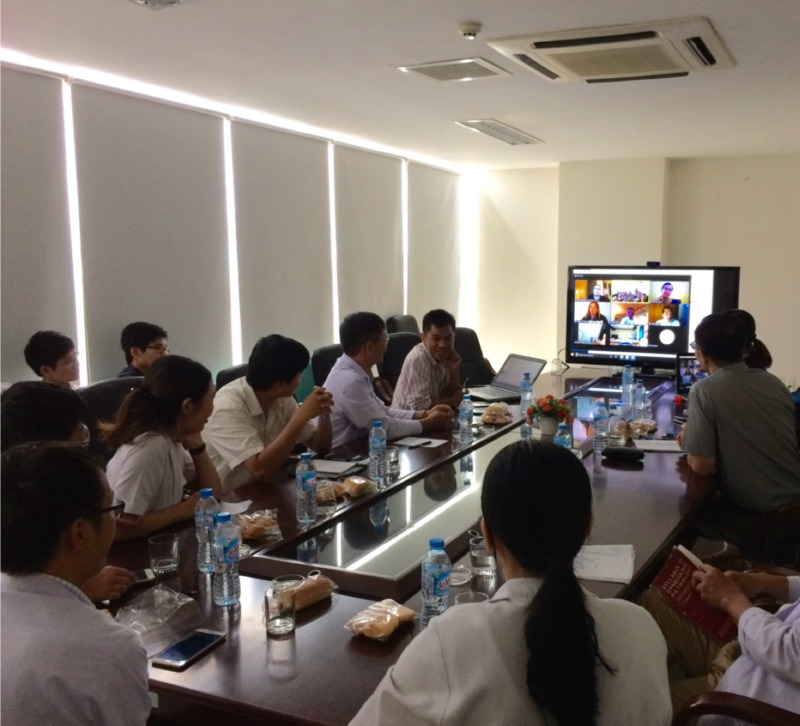 Ellen Baker, MD, MD Anderson Cancer Center travelled to Da Nang with Tri Dinh, MD to facilitate the first session. In late 2017 IGCS expanded Project ECHO and held the first session with the Belarusian Society of Oncology, a Strategic Alliance Partnership member. Each Project ECHO session is 1 hour in length with 45 minutes of case presentations and a 15 minute didactic lecture. The sessions are held by videoconference utilizing Zoom technology. A wifi connection is required. Each ECHO clinic has an IGCS member facilitating the session along with other volunteer leaders who act as Faculty Consultants, providing their expert opinions on the cases. IGCS members also provide the didactic lectures. The goal is to create a multidisciplinary team of IGCS participants for each ECHO Clinic that includes gynecologic oncologists, pathologists, and radiation oncologists. If you would like to get involved with Project ECHO as a facilitator, Faculty Consultant, or would be interested in giving a didactic lecture for a session, please email mary.eiken@igcs.org.